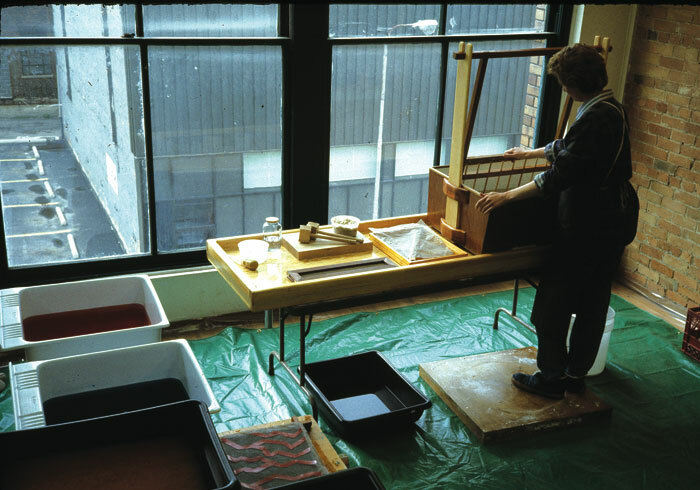 Water-based Monotype, created in Detroit studio, 1983 (Monotypes, A New Expression of Drawing, Hand Papermaking Magazine, Winter Volume, 1987., featured this process). 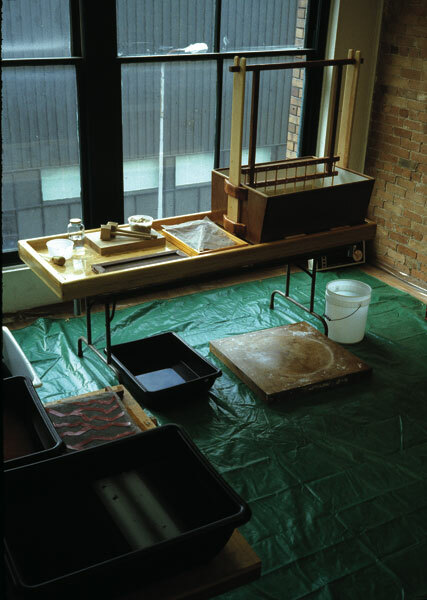 View of the studio set-up with Japanese vat and maze, beating area, formica table top for drawing process and papermaking vats for colored fibers. Hand beating area, Japanese vat and maze. 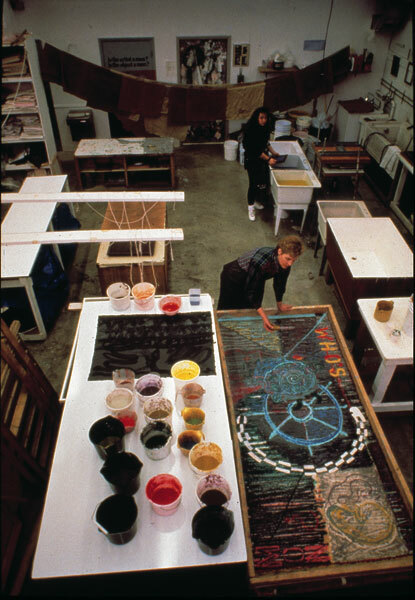 Frederick at the vat mixing dyed fibers of abaca with the maze. 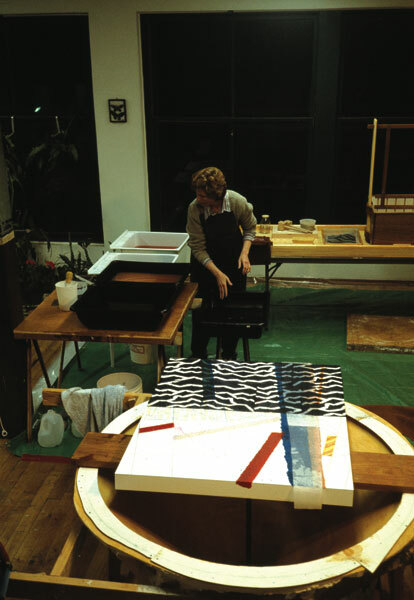 Frederick couches abaca from a small Japanese su onto the drawing layering over the drawing. Many applications are made. 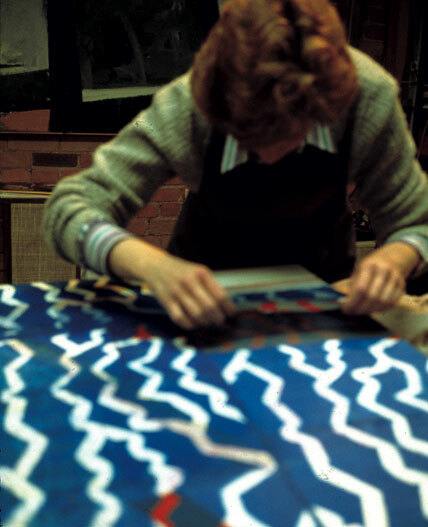 Close-up of the layered fibers as they are being built up onto the drawing on the formica. 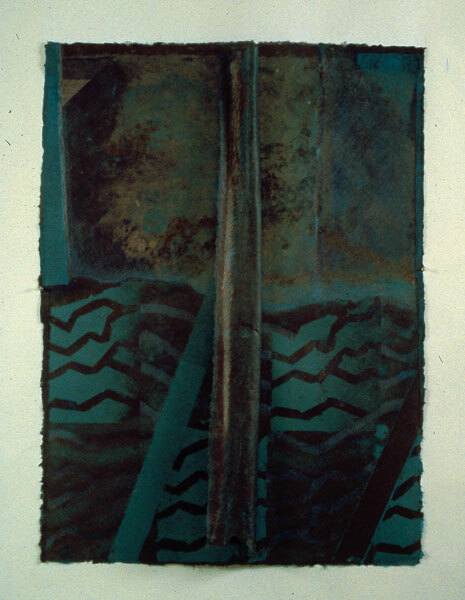 FEBRUARY, 1983, 42” x 30” x 2”. Artist-made paper monotype with graphite and pencils. 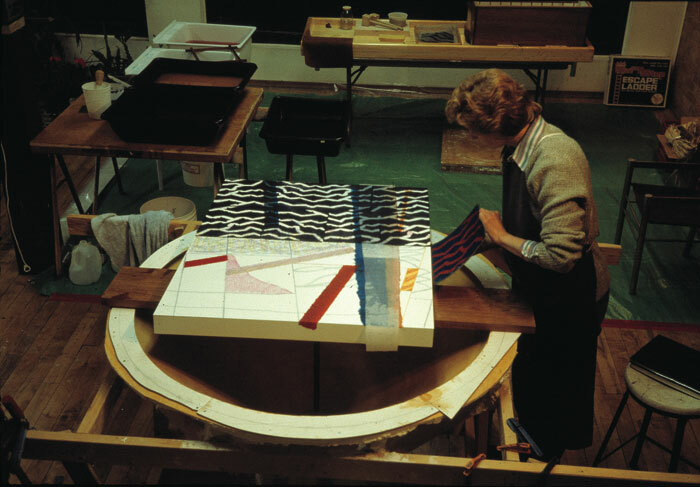 NOVEMBER, 1983, 42” x 30” x 2”. 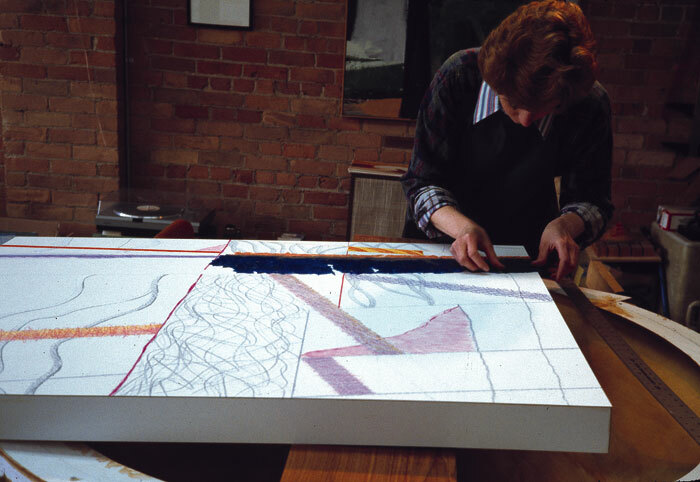 Artist-made paper monotype with graphite and pencils. 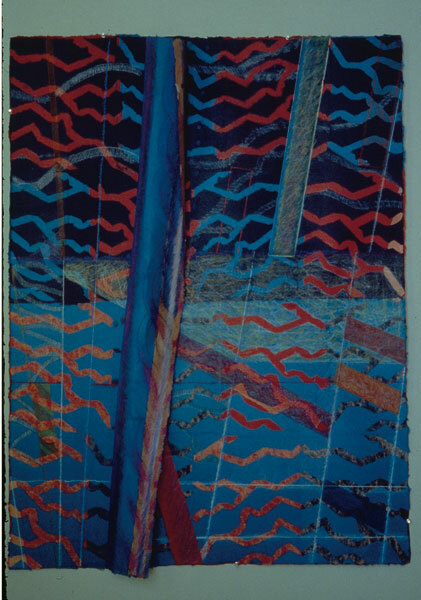 MAY, 1983, 42” x 30” x 2”. 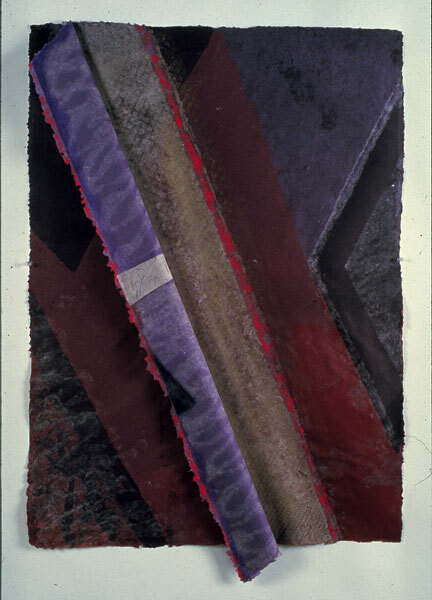 Artist-made paper monotype with graphite and pencils. 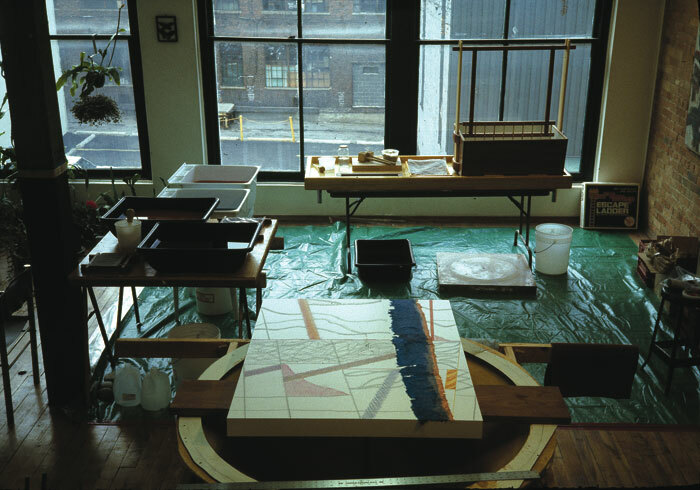 Large scale pulp painitng on 4’ x 8’ mold. Pyramid Atlantic Riverdale facility. 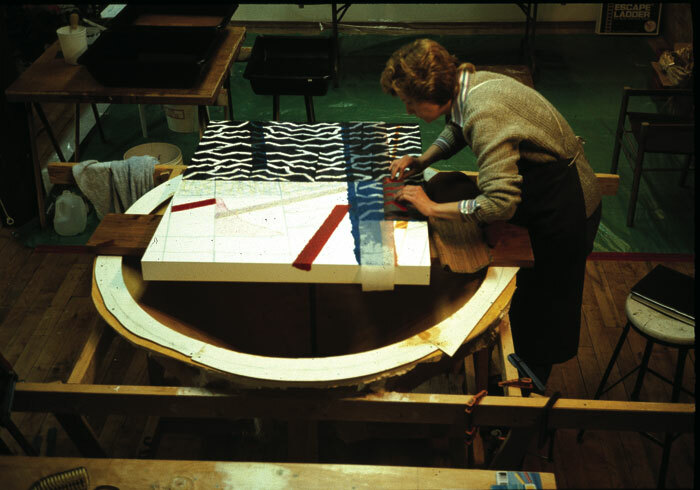 Helen Frederick and Bridget Lambert in the papermill, 1990.